Daffodil is a front-end to federated, heterogeneous digital libraries targeting at strategic support of users during the information seeking process. 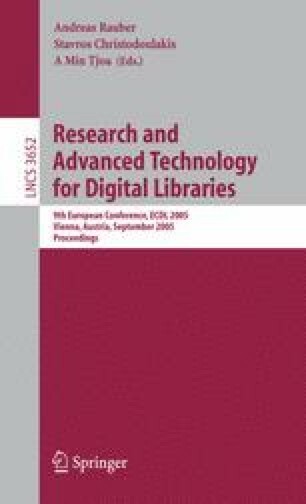 This is done by offering a variety of functions for searching, exploring and managing digital library objects. However, the distributed search increases response time and the conceptual model of the underlying search processes is inherently weaker. This makes query formulation harder and the resulting waiting times can be frustrating. In this paper, we investigate the concept of proactive support during the user’s query formulation. For improving user efficiency and satisfaction, we implemented annotations, proactive support and error markers on the query form itself. These functions decrease the probability for syntactical or semantical errors in queries. Furthermore, the user is able to make better tactical decisions and feels more confident that the system handles the query properly. Evaluations with 30 subjects showed that user satisfaction is improved, whereas no conclusive results were received for efficiency.